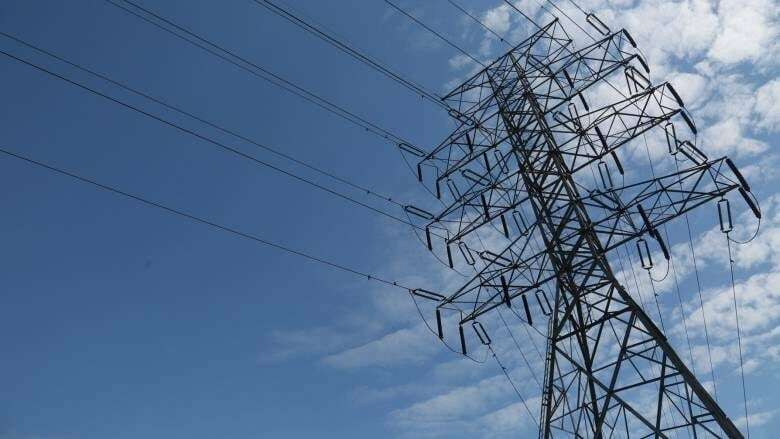 Manitoba Hydro believes the Public Utilities Board exceeded its authority by creating a special rate class for residents of First Nations and by ordering the company to hire an outside consultant to assess how it's managing some of its assets. Manitoba Hydro believes the Public Utilities Board exceeded its authority by creating a special electricity rate class for residents of First Nations, and it wants the Manitoba Court of Appeal to overturn the decision. Hydro also wants to the court to weigh in on another PUB order directing the company to hire an outside consultant to assess how it's managing some of its assets. The PUB gave those directions to Hydro as part of a May 1, 2018 order on the company's electricity rate application. In the same order, the board gave Hydro a dramatically lower rate increase than it sought in its application. Hydro spokesperson Scott Powell says the appeal is based solely on governance and jurisdictional boundary issues. "We believe the PUB lacks the jurisdictional authority to order the creation of a special rate class. We also feel the order itself is in contravention of the uniform rates legislation that was introduced in 2001," Powell told CBC News. Section 39(2.1) of the Manitoba Hydro Act states: "The rates charged for power supplied to a class of grid customers within the province shall be the same throughout the province." The May 1 order by the PUB noted "electricity rates and the resulting bills place a particularly heavy burden on First Nations communities due to inadequate housing infrastructure and the absolute levels of poverty." The order says government has a role to play in addressing affordability, but also directs Hydro to help. "An appropriate starting point for bill affordability in Manitoba is a program targeted at on-reserve ratepayers, specifically through the creation of a First Nations On-Reserve Residential customer class with a differentiated rate to address energy poverty," the order said. However, there was not unanimous agreement on creating the new rate class. Board member Larry Ring registered his opposition to the new category in the final order to Hydro. Hydro objected to the order in June, but went ahead with its creation. The Assembly of Manitoba Chiefs has threatened legal action over Hydro's objection to the new category of rate payers, and it still considering going to court itself on the issue. "This unnecessary and punitive appeal by Manitoba Hydro shows us Hydro's true colours. By taking the rate freeze for First Nations on reserve to court, Hydro is sending mixed messages about its relationship with First Nations." Grand Chief Arlen Dumas wrote in a statement. The Progressive Conservative government agrees with Hydro's position, but declined to answer whether it would change the law, instead referring the matter to the courts. "Manitoba Hydro is asking the Manitoba Court of Appeal to determine whether the Public Utilities Board possesses the legal jurisdiction to establish a different on-reserve rate class for electricity. In our view, the PUB does not possess that authority under the existing provincial law. As this matter is now before the Court, we will be making no further comment," wrote a spokesperson for Crown Services Minister Colleen Mayer. Hydro is also asking the Court of Appeal to overturn the part of the PUB order requiring the company to hire a consultant to "assess the implementation of various asset management decisions." Hydro's Powell says that portion of the order undermines the authority of the company's board and does not meet with either its governance structure or what's detailed in legislation directing the utility.